7 days from £1196pp plus international flights. Make the most of the Cape Peninsula, Cape Town itself and the nearby Winelands for a tasty 7-day holiday. The whole Cape region is as fascinating as it is diverse. As well as seeing the main highlights of Cape Town and the Peninsula, a holiday here can be tailored to whatever your interests. Hikers will love the mountains, nature lovers and botanists will adore Kirstenbosch Gardens, beach lovers will hug the coast, those with an interest in culture can easily get immersed into Cape Town life both in the main town and in the townships, foodies are simply in heaven, and wine buffs could hardly pick a better place to come! In this exciting Cape Town and Winelands holidays, we have arranged for you to stay in two very nice small properties in good positions. We will transfer you from place to place, and we've included some not-to-be-missed tours such as a tour of the City and Table Mountain, the Cape Peninsula, the Winelands, and a very special trip to see some incredible local projects. 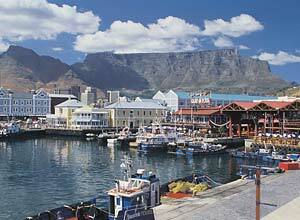 We think it is a great trip which gives you a real insight into Cape Town and its surroundings. As always with us though, you can change any of this if you want. Make it longer, shorter, different ... it's up to you. When you arrive at Cape Town airport you will be met and assisted through immigration and customs. You will be driven to your Cape Town accommodation, Four Rosemead Guest House, which is in a trendy area with a lively cafe culture and views of some of the towns iconic sights such as Table Mountain. You have the rest of the day to explore on your own, or just recover from the flight. You can try out one of the lively nearby restaurants for dinner tonight, or perhaps head for the Waterfront. 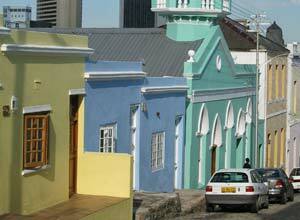 Today you'll be taken on a private half day tour of Cape Town. The trip will take in the Houses of Parliament, the 17th century Castle (South Africa's oldest building), the daily market at Greenmarket Square, the Company Gardens, and of course, Table Mountain. From the top you get fantastic view over the city and the peninsula. On the way back we'll make a stop at BoKaap which is the Cape Malay district of town, with cobbled streets and brightly coloured houses. (NOTE: Table Mountain cable car is often closed for repairs in late July to mid-August, and is weather dependent too). Breakfast. 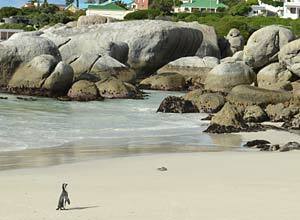 A full day's private tour of the Cape Peninsula will take you to some of the great spots of the region. You can take in the beaches of Camps Bay and Clifton, before going to Hout Bay where you might like to take an optional boat cruise to Seal Island. Then it's down to the Cape of Good Hope Nature Reserve via Chapman's Peak - a beautiful coastal drive. Take a funicular to the top of the Peninsula for fabulous views. After lunch, we head for Simonstown and Boulders Beach to see the penguin colony. We include a look at Kirstenbosch Gardens before returning you to your guest house. Breakfast. This morning should be very special. 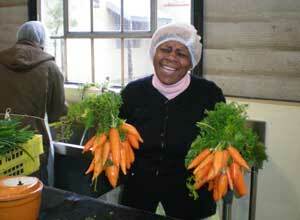 You will join a half day tour with a charity called Uthando based here in Cape Town. Uthando helps development projects in the area such as urban agriculture, youth development, singing and dancing, economic empowerment, protection and care of children, women and the elderly ... You will be taken to the townships around Cape Town to see a few of their projects and meet some of the people they help. The trip is designed to inform and inspire, and respects the dignity of the people involved as well as bringing money to the charity and offering you an experience to treasure. Breakfast. 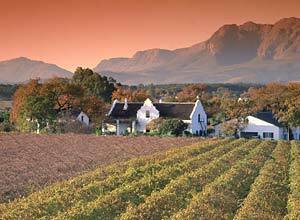 Only about 1 hour's drive away from Cape Town is the region known as the Winelands. It's a gorgeous area with many wine estates (of course!) and a backdrop of imposing mountain ranges. Your hotel is a luxurious country house on the outskirts of Franschhoek. There is an award-winning restaurant here, two outdoor pools and a spa - so prepare to relax. You might want to visit Franschhoek's specialist shops or galleries, or if you're feeling active, head out on foot, by bike or on horseback to explore this picturesque area. Breakfast. 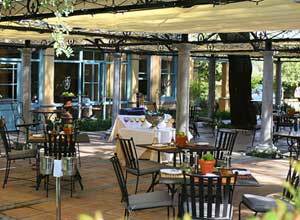 We take you on a private full day tour of the Winelands today. Winding through vineyards and Cape Dutch homesteads backed by superb mountain ranges, this is such a scenic region. 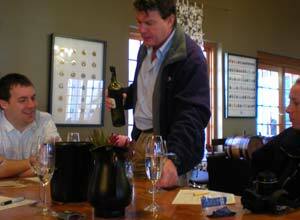 We will visit Stellenbosch, where you'll enjoy your first wine tasting of the day. In Franschhoek, known as the culinary capital of South Africa, we'll probably manage another wine tasting before lunch. We then move off to show you Paarl which is a major farming district at the foot of enormous granite domes. Can we squeeze in another wine tasting here? We will roll you back to your hotel by late afternoon! Breakfast. We will drive you back to Cape Town Airport after breakfast, or at a time to suit your onward travel plans. Bear in mind that we can add other South African experiences for you if you'd like to extend your stay in this appealing country. Breakfast. Price notes: 2019 price guide pp sharing: Jan-April and September £1484. May-August £1196. October-14 Dec £1554. Meet & greet at Cape Town airport; Tranfers as shown; 6 nights B&B accommodation on shared basis; full day private tour of Cape Point & Peninsula; half day private tour of the City (inc Table Mountain if cable cars working); half day private tour with Uthando; a donation to Uthando projects; full day private tour of the Winelands including wine tasting. Flights and taxes; Table Mountain and cable car tickets; visa; all meals except breakfast; drinks; tips; personal expenses. You need to fly in and out of Cape Town International Airport. Various airlines fly here, and the prices will range from about £750 pp depending on the season and availability. Departure dates: You can take this holiday at any time you like as we arrange it for you on a private tailor made basis. On the south west tip of Africa, Cape Town is set under the awe-inspiring Table Mountain, and with stunning beaches, it is a city of beauty, rich history and cultural diversity.